It covers all the bases: With a product bundle, all your private label skincare bases get covered with a single purchase. It’s basically a one stop skincare shot of goodness. Maybe it’s a package filled with everything you’d need for the perfect at home spa treatment, or perhaps it’s the ultimate anti aging package. 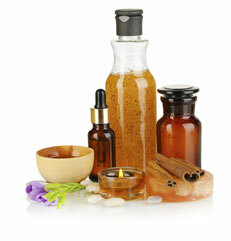 Chances are it will have all the skin care product you need for happy, glowing, bright and soft skin. In fact, we think product bundles are so essential that we created five of our own! We have one for perfect body skin and one for essential oil essentials, another featuring the magic of Glycolic Acid, one other featuring vitamin C and another featuring plant stem cells. They make fantastic gifts: Seriously, they really do. Gifting someone you know and love with a private label skincare product bundle shows them that you’ve got their back. It’s the gift that keeps on giving long after their first, second or even fiftieth use because—if the private label skincare products in the bundle are high quality and strategically formulated—their skin appearance, feeling and overall quality will be dramatically improved, and will continue to improve, long after their initial use. Oh yeah, the same thing applies if you get one for yourself. They’re economical: Typically if you buy a bundle there is a price break that goes along with it. This is because you’re buying more than just one product, so the brand or company wants to let you know that they appreciate it. Though it might seem like more initially, in reality you are saving in the long run by paying up front and buying the bundle.